Transport all your essentials… everything from office supplies and paperwork to Barbie® dolls and accessories to towels, flip flops, and sunscreen. The pretty black-and-white WonderFull Bag is water resistant and features 6 spacious outside pockets, as well as a secure zippered top, interior valuables pocket, over-the-shoulder option, and pink leatherette reinforced bottom. Bonus: In May, qualify to purchase the WonderFull Bag for only $25 when you purchase $50 or more in regularly priced merchandise! Yay! My article entitled “What Is My Job Description, Anyway?” was featured in this month’s issue of the “Get Organized” Online Newsletter! … and don’t forget to check out all the other helpful articles in this month’s issue that focus on Organizing for the Busy BEE Mom — New Parents Organization! Whether it’s sports equipment, gardening gear, or car washing supplies… you know how quickly gear can take over your garage! With 4 grommets strategically placed 16” and 24” apart, Gear Pockets hang from the studs in your garage wall and from most existing shelving systems. These ingenious Gear Pockets are even designed to take with you! Take them off the wall, fold them or roll them up, and use the convenient handles to carry them with you wherever you go. Great for sporting events, seaside, or camping. Hang most anything from the buckles. Installation hardware included. Made of durable 600 denier eco-friendly fabric. The Original Gear Pockets (shown here) have 9 identically-sized pockets and 4 buckles on the bottom. Bonus: In March, qualify to purchase the Original Gear Pockets for only $17 when you purchase $50 or more in regularly priced merchandise! I am no super duper Earth saving genius or anything but I know a few energy saving tips here and there that can help cut down on my energy costs and also save the planet one house at a time in the mean time. I decided the other day that I would go online and do a little research to find out more on this subject than I already knew. I of course know to shut off the water when I am brushing my teeth and the put a brick in the tank of my toilet to save water trick. I found out that there are more than just these little things that you can do around your home to help save energy and money in the process. One thing you can do to help save on your hot water heater is take shorter showers. This helps conserve water first of all but it also helps save on the energy it takes to heat all the hot water that you are using by being in there for twenty minutes. Free Ezine + Bonus !! 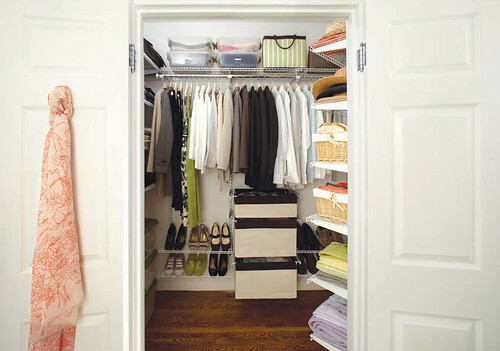 If there was ever a perfect fit for the profile of professional organizer, it is Michelle! She came to my office, analyzed our paperwork flow, and reviewed our day-to-day operations. After diligently getting to know our systems, she made recommendations that truly made an impact.